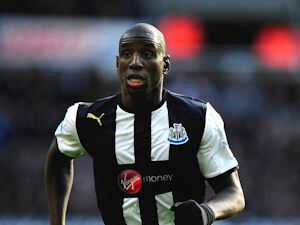 Demba Ba's role on the left of a front 3 | NUFC Blog. Archive for tag: Demba Ba’s role on the left of a front 3. Happy? Reasonably so it seems. Newcastle United striker Demba Ba was allegedly ‘unhappy’ when he was taken off against Bolton but there was little hint of any unhappiness in Ba’s recent interview. There has been a bit of speculation about whether or not Demba Ba is happy to play on the left of a front three but the man himself has come out and said that he his. Sort of. “The coach told me he would put me on the left and, for the team, I thought, ‘Let’s do it’. I know the qualities of Papiss as a finisher. “As a striker, you like to be in the striking position but now the coach has made the decision – he has decided Papiss will be there.